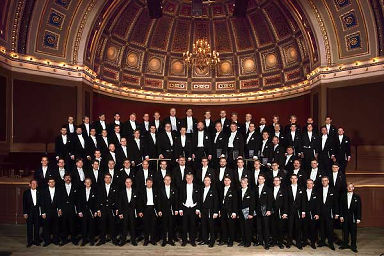 Did you know that the Scandinavian countries have a higher average participation rate for choral groups than any other nations on the planet? In Sweden alone, 10 per cent of the population sings in a choir. 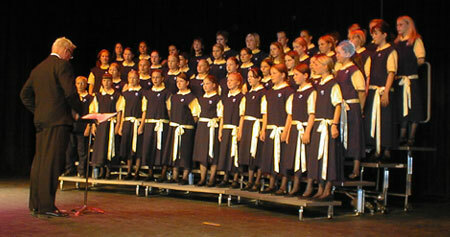 In Norway, more than 125,000 people sing in choirs (in a nation with fewer than 4 million citizens). So in a region where vocal ensembles have such a high stature, it is absolutely no surprise that such a high value is placed on doing it well. Whether it's a children's choir from Finland, or an adult choir in Denmark performing symphonic works, you'll love what you hear from them. The Danish National Radio Choir was founded in 1932 with the purpose of performing the wide-ranging repertoire of oratorios, and symphonic works for choir and orchestra. The choir numbers 74 professional singers, 31 of whom are permanently employed forming the chamberchoir. The remaining 43 singers, who form the symphonic choir, are under 5-year contracts. Every season the choir appears regularly within the Thursday Concert Series of the Danish National Radio Symphony Orchestra. 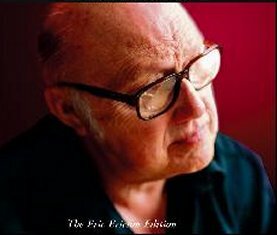 Eric Ericson (born 26 October 1918 in Borås), is a Swedish choral conductor and influential choral teacher. He graduated from the Royal College of Music (Kungl. Musikhögskolan) in Stockholm in 1943 and went on to complete his studies abroad, at the Schola Cantorum in Basel, Switzerland, and in Germany, Great Britain, and the United States. Renowned for his innovative teaching methods and the wide-ranging nature of his repertoire, Ericson was the principal conductor of the Orphei Drängar choir at Uppsala University from 1951 until 1991, and choirmaster until 1982 of the Swedish Radio Choir which was established on his initiative in 1951. Also in 1951, he began his teaching career at Musikhögskolan, where he became a legendary and inspirational figure, and he was appointed to the chair of choral conducting there in 1968. The Jubilate Choir consists of 40 singers and was founded by its present conductor, Astrid Riska. 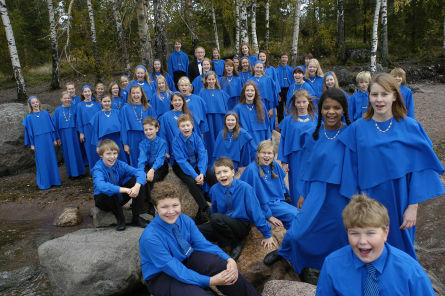 Since its formation, Jubilate has played an active part in Finnish musical life. Its repertoire includes a range of styles, from Gregorian chant to 20th century works, but with a strong partiality to Finnish music. The choir has collaborated with a number of Finnish orchestras, including the Finnish Radio Symphony Orchestra, the Helsinki Philharmonic Orchestra and the Avanti! Chamber Orchestra. Among the choir's collaborators outside Finland have been the Jerusalem Symphony Orchestra and the Polish Radio Symphony Orchestra. In connection with those and other engagements the choir has had the privilege of working under Gary Bertini, Bruno Rigutto, Eliahu Inbal, Jean-Pierre Wallez, John Alldis, Gennadi Rozdestvenskij, Jukka-Pekka Saraste and Esa-Pekka Salonen. 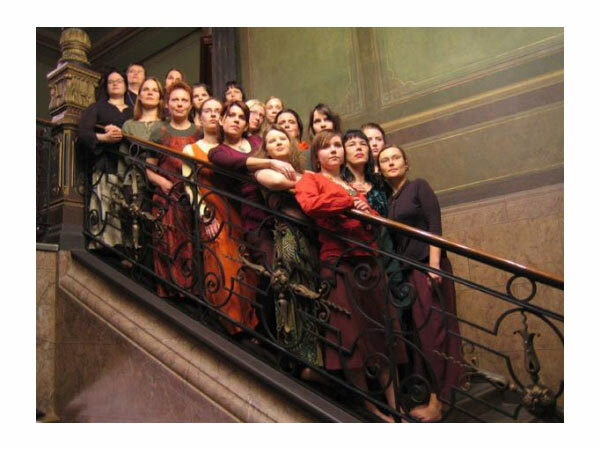 The Helsinki-based women's choir Philomela was started in 1984 at the instigation of the Helsinki Chapter of the Finnish Amateur Musicians' Association (SULASOL) and the Culture Board of the City of Helsinki. Philomela has 45 members, half of whom are students and the other half already in working life. Philomela aspires to perform choral music as extensively and ambitiously as possible. 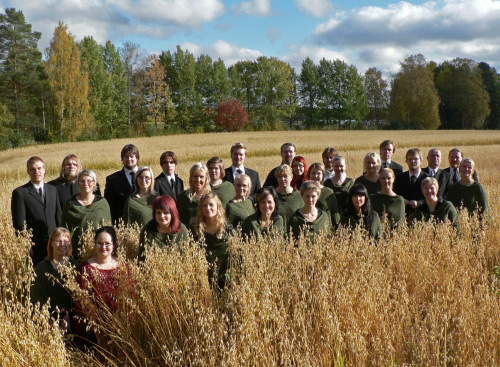 The choir aims at mastering both traditional and modern music, sacred masses and light music, singing styles originating from the Finnish national epic, the Kalevala, as well as the works of contemporary composers, many of whom have dedicated works to Philomela. The choir is known for its experimental choreographies and its chameleon-like ability to transform its style and appearance according to each occasion and venue. 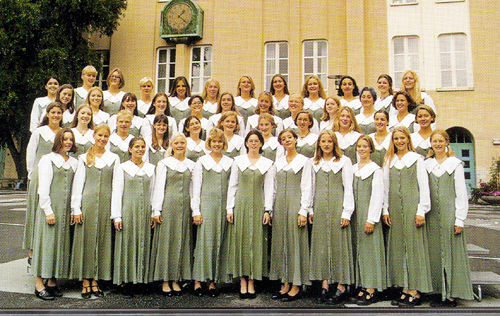 In spring 1998, the choir appeared in the Helsinki City Theatre production of The Sound of Music. PhilomelaÕs goals were set high at the outset. Due to goal-oriented work, the choir has risen to the top of Finnish choral music, and it has also received acclaim abroad. Philomela has produced numerous radio recordings, and in 1991 it received the Amateur Music Award of the Finnish Broadcasting Corporation (YLE). 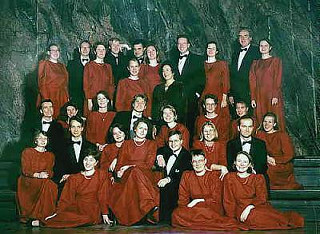 In the same year, Philomela was nominated Choir of the Year by the Finnish Women's Choir Association. 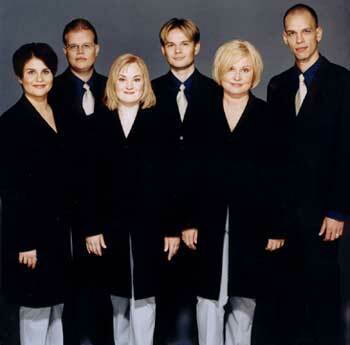 Vocal ensemble Rajaton, founded in autumn 1997, is a professional a cappella group with six singers (SSATBarB). Its objective from the first was to attain an international level in ensemble singing and to enrich the Finnish a cappella scene with their approach to choral music. Indeed, that they have done. The group´s members are experienced choral singers, and their diverse musical backgrounds contribute to the musical expression of the ensemble. Most of the singers have studied singing either at the Sibelius-Academy or at the Pop/Jazz Conservatory in Helsinki, Finland. In accordance with its basic concept, Rajaton primarily performs music written especially for the group. As its name shows (rajaton = boundless), its musical scale ranges from sacred music to pop and from folk music to contemporary concert music. 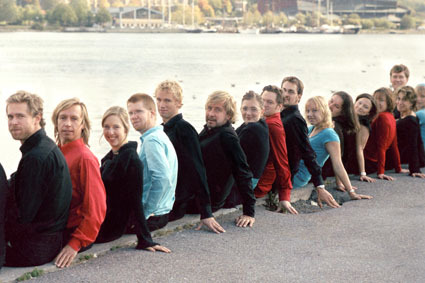 At the moment, their repertoire consists mostly of settings of texts by Finnish and foreign poets written for the ensemble by young Finnish choral composers. Rajaton also performs new arrangements of Finnish and foreign folk songs. Rajaton gives concerts in their home city of Helsinki a few times a year and in other parts of Finland on demand. They mostly perform in private occasions. Rajaton sings frequently in different companies´ and organisations´ official events as well as in weddings and other private parties. Tapiola Choir (Finland) This Finnish childrens choir is considered one of the best in the world with an emphasis on both individuality and the singer's ability to blend with the other voices. The basic element is the young singer's own voice, moulded by the vernacular. The ideal sound is that of a stringed instrument: it is warm, light and translucent, the phrasing is musical and the singing gives the impression of being easy and effortless. But the ideal sound of the Choir is not just one closely-defined concept; it is a combination of different choral timbres and is always adapted to the music being performed. Ever since the 1960s the Choir has been associating with many of Finland's leading composers. 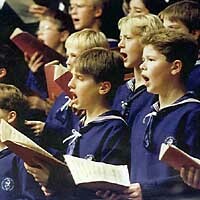 The result has been new repertoire of a high standard, free of all the mannerism of "songs for children". This collaboration has not been confined merely to premiering new works but has involved active participation in the process of composition. 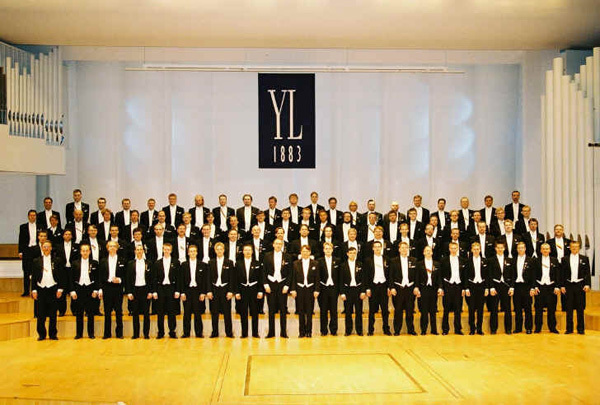 The oldest Finnish language choir, the YL Male Voice Choir, was founded in 1883 as an opinion leader of the Finnish high society. Its roots are in 19th century Finland, which was growing into a separate nation. The origins of Finnish male voice choral singing can be traced to Germany via Uppsala, Sweden. It was first practised in Turku in the late 1810s, and from there it spread east after the university was moved to Helsinki in 1828. Students practised singing under varying conditions and titles - for example, a singing society called Akademiska Sångsällskapet was founded in 1838.